Manufacturer of a wide range of products which include epilog fibermark fusion laser system for metal marking. 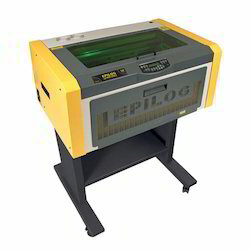 Capacity Working Area : 24"x12"/32"x20"
EPILOG Fibermark Laser System for Metal & Plastic Marking. * Working Area : FiberMark - 24'x12"
* Working Area : FiberMark Fusion 32"x20"
Looking for Fibermark System ?